Schoolyard bullies are always on the look-out for someone who they know won’t be able to stand up to them and sadly it is those who are already the most vulnerable who will be the targets. Some children are naturally quiet and shy, despite having a warm positive supportive home environment. Others who have suffered abuse or neglect in their early life can tend to lag behind other children when it comes to social skills. Constant negative experiences can mean that they lose confidence and have missed out on the opportunity naturally develop their skills as part of a daily unconscious interaction with a generally positive environment. Whether the child is naturally sensitive and quiet or whether they just missed out on opportunities to hone their skills, it is never too late for helping a young person to deal with bullying. The skills can be taught quickly and easily, making use of psychological ‘facts’ and techniques, if you make sure you explain them in plain language, using appropriate metaphors, and also demonstrate them and allow them to reflect on their own experience. As adults we understand that our brains have both an emotional and a rational part and that we have to learn to override our emotions at times, and not let them run away with us. For example, one useful metaphor for our “rational brain” is to compare it to the Star Trek character Mr Spock in particular. He wasn’t emotionless, but was actually highly disciplined. The Vulcan race became the way they were because they knew that they would destroy themselves if they did not find a way to control the expression of their emotions and so Spock continually demonstrated that thinking was easier and clearer if one was able to remain calm, despite arousing circumstances. And so can we. 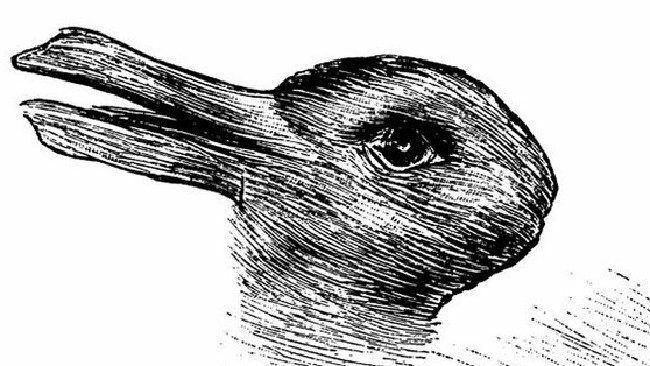 Another useful way of showing what goes on in our brains is to look at the 100 year old duck-rabbit illusion (see above) – an ambiguous illustration that could indeed be either a duck or a rabbit. The brain is searching for patterns that it recognises in the outside and matches them with patterns it has internalises. 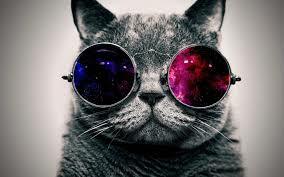 Sometimes our brains overdo this a bit. If we have experienced scary events and scary people, our brain can process new events and people as though they are also frightening, when in fact they are harmless. How to feel relaxed when you meet someone new – it’s a skill you can learn! Copy the other person’s body language to create a ‘mirror image’ – keep it very subtle, not so closely that they spot what you are doing! Repeat until the conversation takes on a life of its own. Teaching young people to follow this formula has the effect of taking their attention away from worrying about “What do I say next?” and “How well am I doing?” Having a simple formula acts to lower their emotional arousal and enables them to find areas of common ground in order to create a sense of connection and understanding. The process automatically makes them appear more attractive to the person they are talking to, and confidence builds as they receive positive feedback in return. Complaining that the insult is not good enough and that you can think of much worse things to be called (and give examples). If you would like some more information about helping a young person to deal with bullying and would like to talk it over in complete confidentiality, call Alison Winfield, Mindfully Well Counselling Cork on 087 9934541.